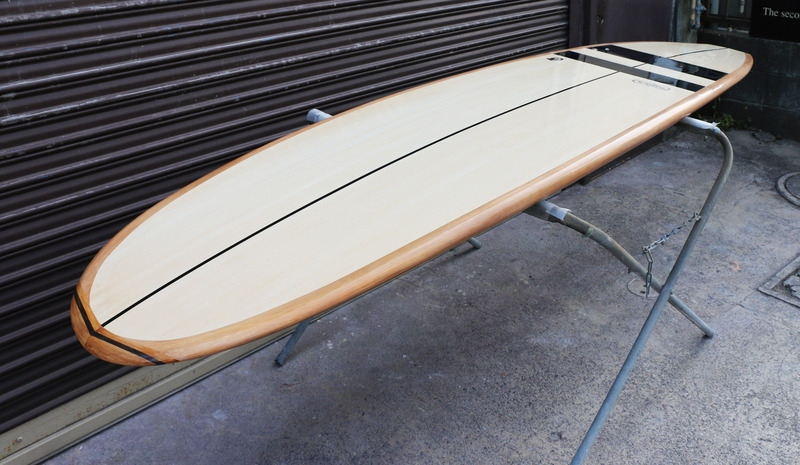 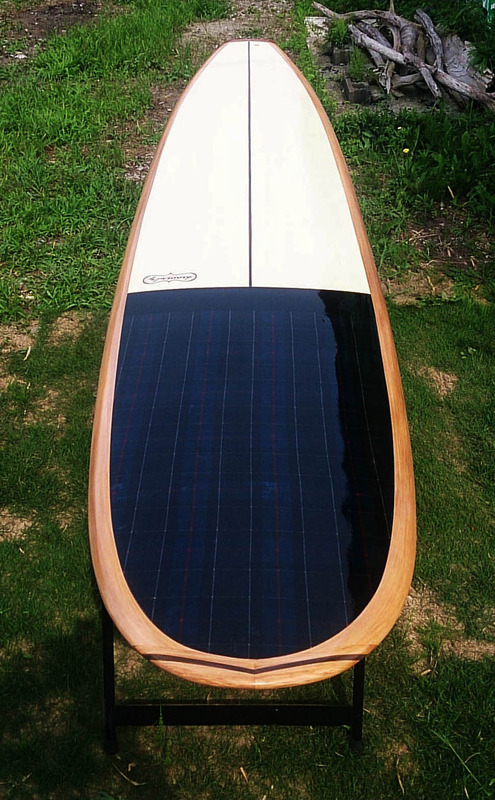 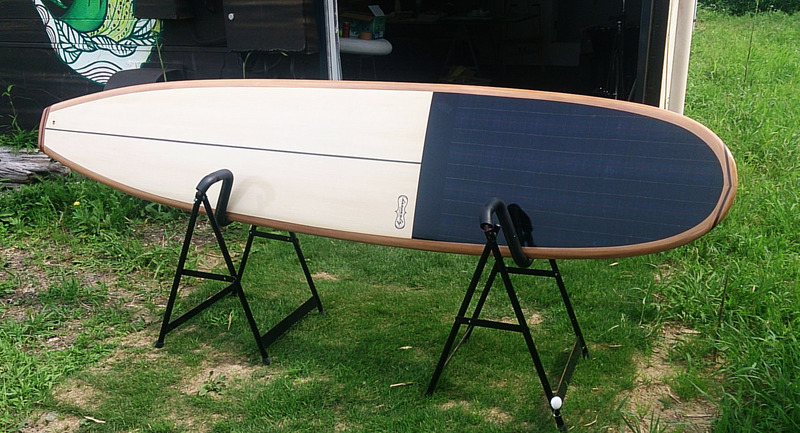 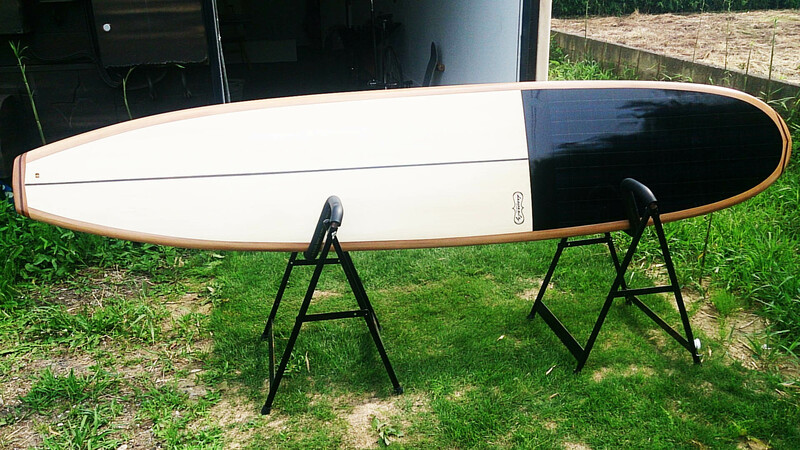 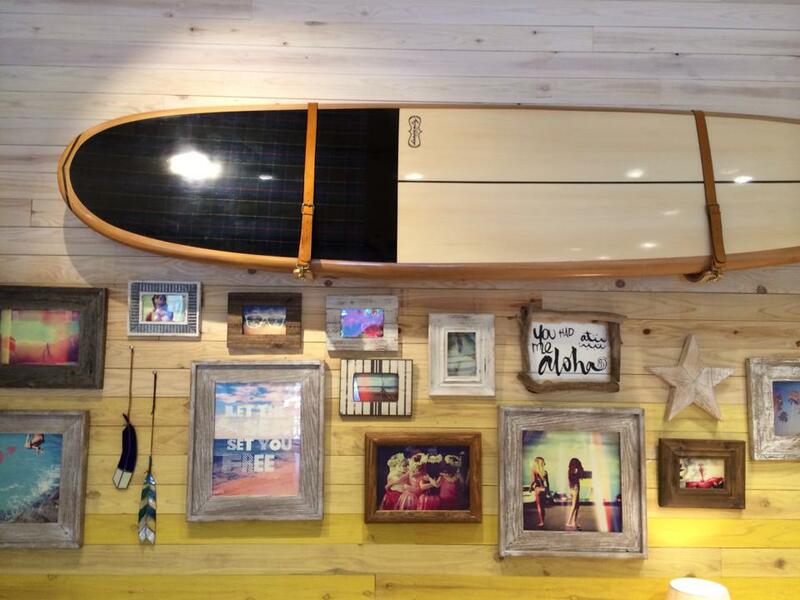 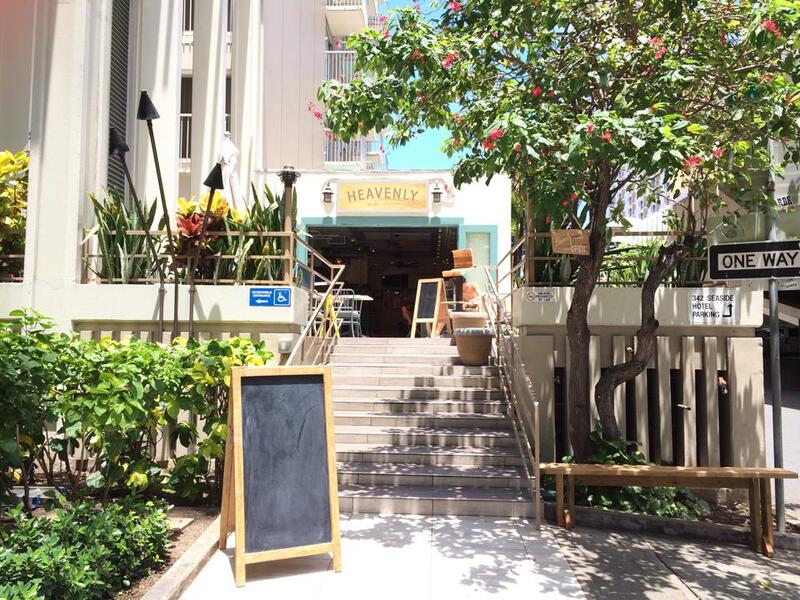 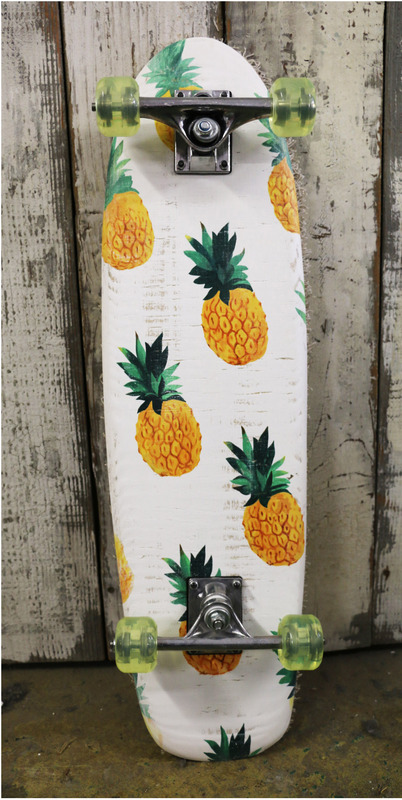 This 9”2 longboard is designed for HEAVENLY , a store located in Waikiki Beach, Oahu. 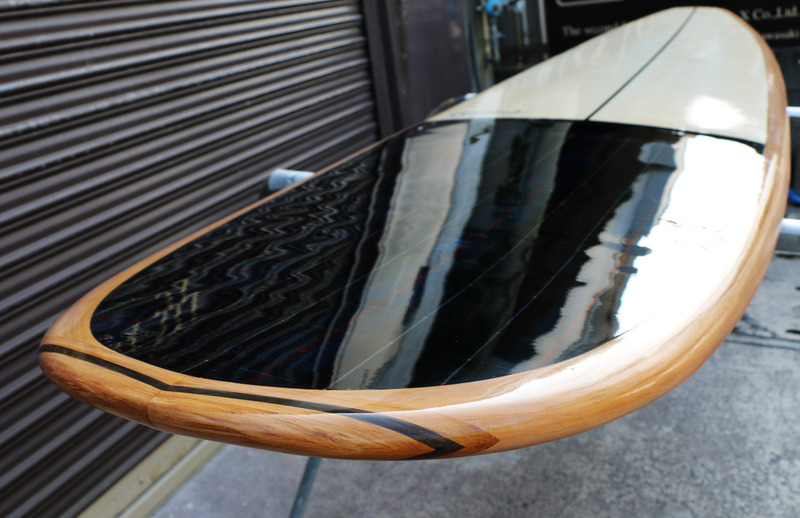 The deck, nose, and tail has been painted in woodtones and the nose has fabric inlays. 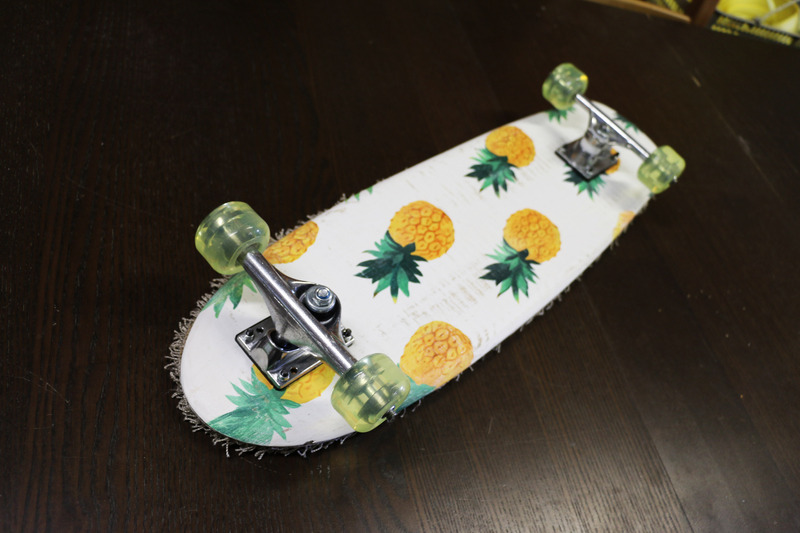 The skateboard features a pineapple painting on the bottom and the deck is topped with soft shag carpet. 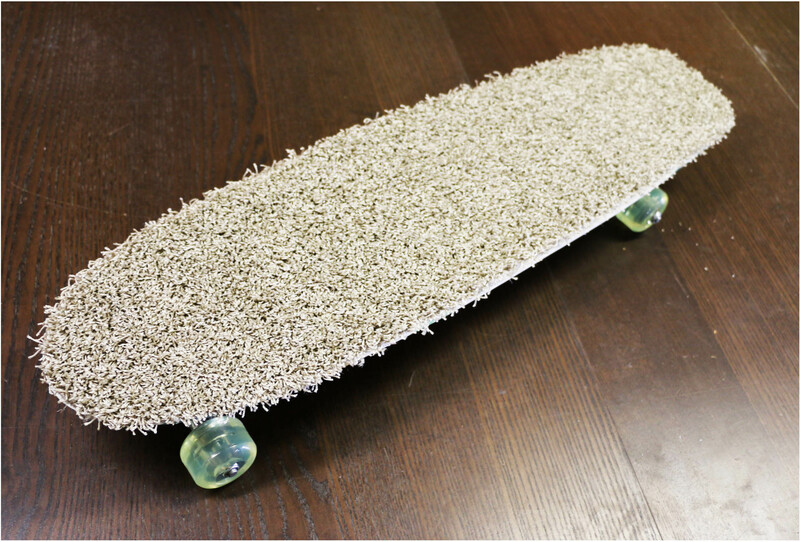 Copyright © THE SIX "F" All Rights Reserved.